The search for UK volunteers willing to donate their genome and health data to science has begun with the launch today of the Personal Genome Project UK. PGP-UK, which is directed by Professor Stephan Beck (UCL Cancer Institute), ultimately aims to find 100,000 members of the public willing to take part. PGP-UK aims to offer every participant analysis of their genome, and every donated genome will potentially enable improvements in personalised medicine. It will be using a novel open consent protocol, enabling genomic data to be linked to medical and health records to create an information-rich resource that is made available under open access, allowing free and unrestricted access. This means many projects can immediately benefit from PGP-UK data, including the sequencing of 100,000 NHS patients being undertaken by Genomics England to combat diseases such as cancer and other common and rare diseases. "Donating your genome and health data to science is a great way to enable advances in the understanding of human genetics, biology, and health," said Professor Beck, who has over 30 years experience in genomics and played a leading role in the Human Genome Project. Donating your genome and health data to science is a great way to enable advances in the understanding of human genetics, biology, and health. "This project will establish the practice of open consent in the UK, and enable medical advancement through meeting science's need for 'richer' data. PGP-UK will also engage and educate the UK public on personal genomics and its potential use in medicine. 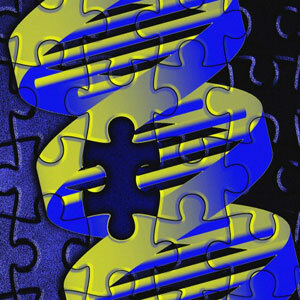 "Previous work has started the process by giving us vital information on our genes and where and when they are active. Through PGP-UK it will be fascinating to learn how this information translates into the many traits that make us all unique." Cian Murphy, a PhD Student in Cardiovascular Biomedicine at UCL, has already signed up as a pre-registered volunteer to take part. He said: "Scientists and patients alike suffer from privacy walls. Whether erected for patient security concerns or for less altruistic competitive reasons, they stymy progress and may waste valuable funding repeating independent studies that are perhaps underpowered. "As the focus of research moves to diseases based on smaller and smaller effects, the research community will need ever more samples. Breaking down these barriers is something I am very eager to support. To that end, I will happily provide my own DNA and medical history. Anonymised or not, I believe the risk in doing so to be minimal and far outweighed by the desired paradigm shift in making this type of data freely available to everyone." The UK has a strong track record in genomics, most notably as a major contributor to the first sequencing of the human genome by the Human Genome Project in 2000 as part of the international Human Genome Project and the ongoing 1000 Genomes Project. PGP-UK is part of the international Personal Genome Project. To date, thousands of volunteers have enrolled in the PGP in the United States where the project started in 2005. Based on this success, PGP is now being rolled out worldwide, with the UK the first European participant.